Coming home, it got even better, when a wonderful gift, a unique and handcrafted wooden watch by JORD reached me this week. Those who know me well are aware of the fact that I never wear a lot of jewellery or acessoires. And if I do, it is really something unique and eye catching. The JORD watch I received, really more than fulfills my expectations in this respect. I chose the Koa & Rose Gold model from the Cora Series. 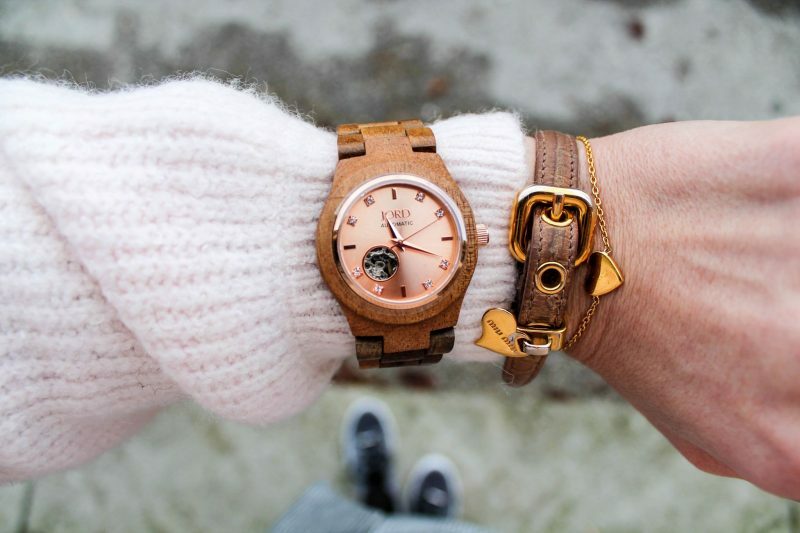 Both strap and watch case are handcrafted from wood and the dial is Rose Gold, a really nice combination. Another great thing about JORD watches is that you can actually choose different wrist sizes before placing the order to ensure the strap fits you well. For this purpose, JORD provides a Wrist Sizer for download, which is really helpful. 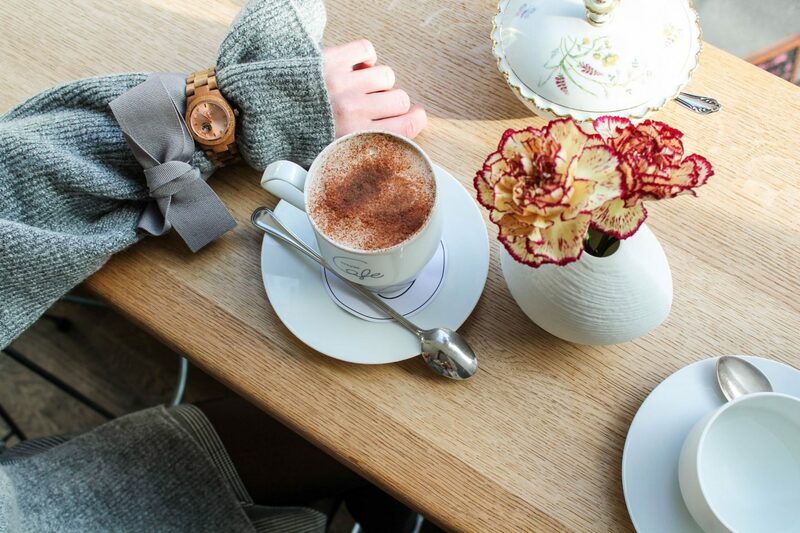 The watch comes in a really cute wooden box, which you can choose to engrave with a personal message or name for instance. This is just perfect for a nice birthday present, isn’t it?? Apart from the model I chose, they have a bunch of other really nice watches, some of them more classic, others more conspicous, so you should definitely take a look at their website (they actually have both women’s and men’s watches). Even though the watch was shipped from the US, delivery only took a week. So overall, service and delivery were just perfect! 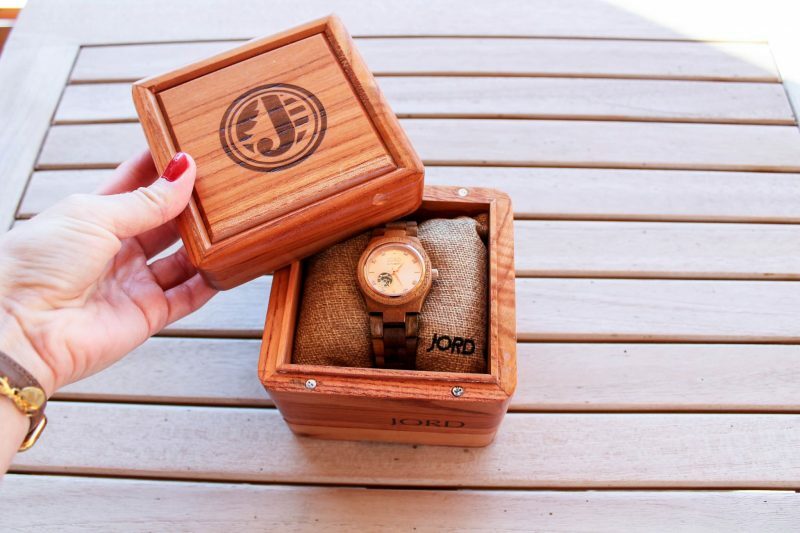 AND NOW, you can win a $100 voucher code for the Jord Woodwatches Online Shop. And even if you’re not the lucky winner to get a $100 voucher code, you will receive a $25 voucher code just for entering your details! Wow, die Uhr ist wirklich etwas ganz Besonderes, ein Traum! *-* Mir gefällt auch, wie toll du sie in Szene gesetzt hast, Hut ab dafür. 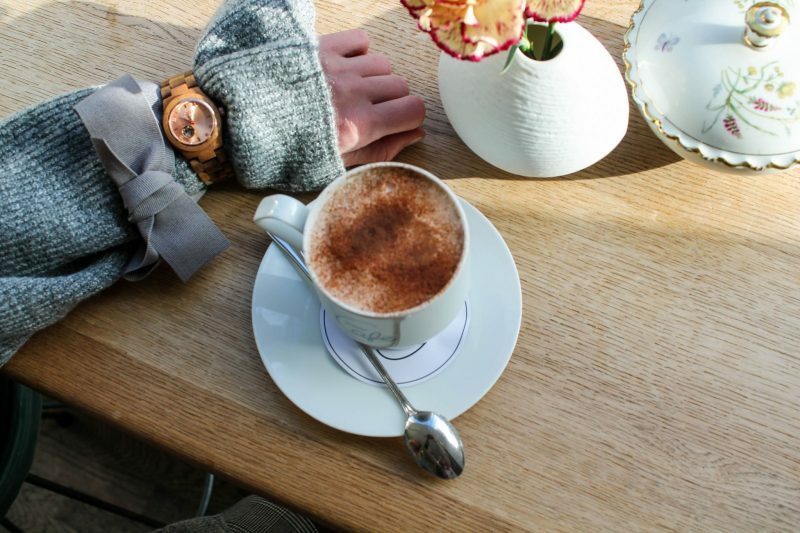 Die Uhr ist super schön total mein Geschmack.